Team-oriented retail sales consultant who works well in a collaborative environment, yet thrives on personal sales achievements. 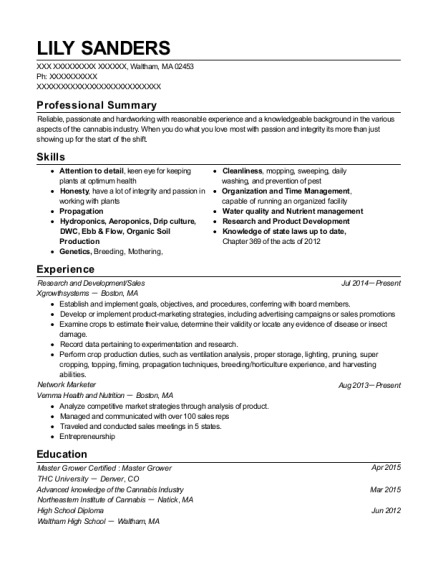 Experience managing an electronic cigarette shop. Exercise strong listening skills and patience when dealing with customers. 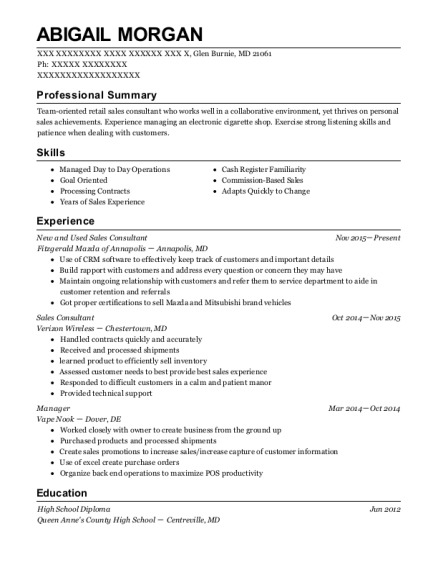 This is a resume for a New and Used Sales Consultant in Glen Burnie, Maryland with experience working for such companies as Fitzgerald Mazda of Annapolis and Verizon Wireless. 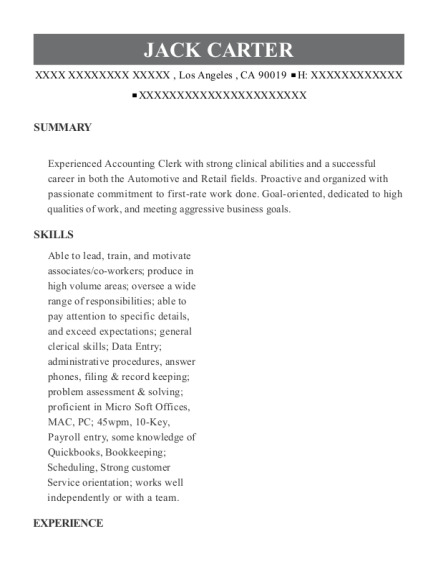 The grade for this resume is 0 and is one of hundreds of New and Used Sales Consultant resumes available on our site for free. 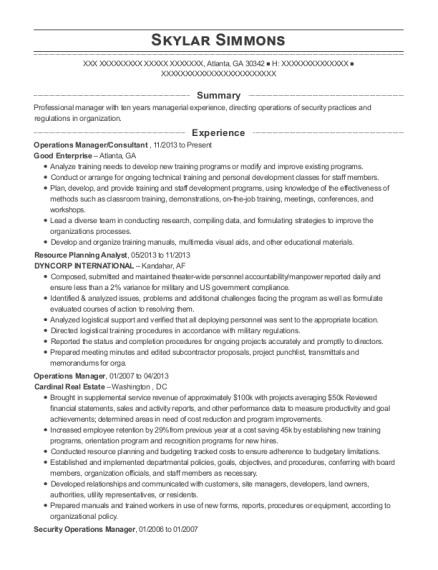 Use these resumes as templates to get help creating the best New and Used Sales Consultant resume.